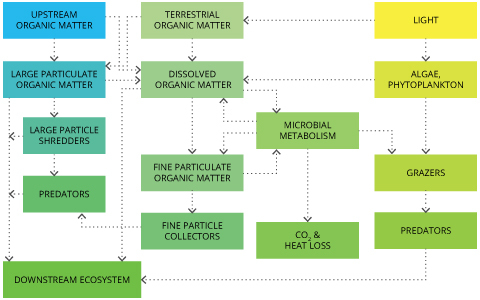 What is Dissolved Organic Matter? 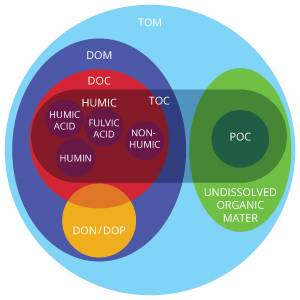 What is Chromophoric Dissolved Organic Matter? 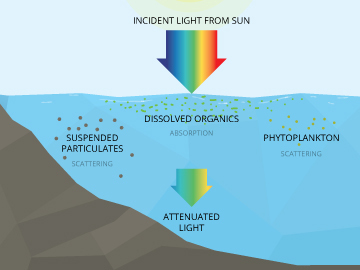 What is Fluorescent Dissolved Organic Matter? Dissolved organic matter, or DOM, is the largest reservoir of organic carbon in the aquatic environment. It can be greatly influenced by land use, which can ramp up or diminish organic matter loads to waterways. Forested lands, for instance, can contribute more DOM than agricultural lands, but the nutrients bound in the material can be less bio-available than those from farm fields 4. Also adding to dissolved organic matter are the remains of living and dead organisms that have broken down in a water body. The organic matter in waterways can be viewed as a mixture of things living and dead, including plant, microbial and animal products at various stages of decomposition 11. Also in the mix are compounds that are synthesized biologically and chemically from the products of decomposing organisms and decomposition overall. These remains can be broken down into humic or nonhumic substances 11. Nonhumic substances are a class of compounds including carbohydrates, proteins, amino acids, fats and other organic substances with low molecular weights. All of these are normally easy to use and degrade by hydrolytic (hydrolysis catalyst) enzymes that microorganisms produce. Because nonhumic substances are quickly used up, their concentrations in waterways are typically low. Humic substances are what make up most of the organic matter in both soils and water. They are naturally occurring, produced by living organisms and generally yellow to black in color. Humic substances have a high molecular weight and are formed largely as a result of microbial activity on plant materials. The molecules that result are fairly resistant to further microbial degradation and usually have low turnover rates in aquatic systems. Humic substances are typically segmented into three groups: humic acids, fulvic acids and humin. Humic acids precipitate, or become solid from a solution, in water upon acidification around a pH of 2. Above that, they are soluble. Fulvic acids are soluble at any pH. Humin is not soluble in water or in dilute solutions at any pH value. The properties of humic substances have great bearing on how their molecules bind together. And they exhibit different structures that are largely colloidal. These colloidal materials provide a very large surface area that’s suitable for the adsorption (adhesion of molecules of gas, liquid, or dissolved solids to a surface) of both inorganic and organic materials. Because of that, humic materials can alter the availability of required, or even toxic, metals and organic substances to aquatic animal and plant life 11. Dissolved organic compounds can aggregate by a number of processes. Flocculation is a term that covers all types of aggregation processes. It refers to the formation of particles larger than 1 micrometer on which gravity dominates more than colloidal interactions. Flocculation occurs when particles collide and can adhere 11. CDOM is interchangeably known as chromophoric dissolved organic matter or colored dissolved organic matter 3. Both terms mean the same thing and cover the parameter that can be measured in aquatic environments as a product of decaying material. CDOM is largely a subset of DOM, or dissolved organic matter. The decay releases organic substances, also called tannins 3, that stain waters and can have effects on light absorption and other aspects of water quality. Essentially, this decaying organic matter is dissolved organic carbon (DOC) as all living things are made up of carbon. CDOM is closely related to fDOM 8, or fluorescent dissolved organic matter, as fDOM refers to the fraction of CDOM that fluoresces. 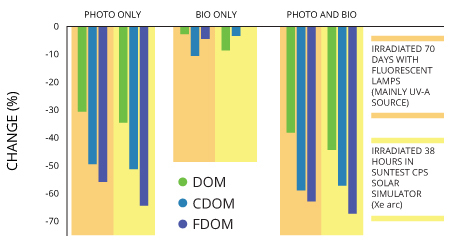 As such, fDOM is often used as a surrogate for CDOM, and is one way that tracking dissolved organic matter (DOM) is possible in natural waters. CDOM contributes to light absorption and may also help fuel bacterial respiration 5 because of the large quantities of carbon, nitrogen and phosphorus that it carries. This may indirectly contribute to eutrophication 4, a natural process typically involving increases in nitrogen and phosphorus that fuel aquatic plant growth and lead to the eventual filling-in of water bodies. Evidence suggests that CDOM may also affect nutrient availability for algae growth, and may also impact algae by limiting the amount of light they can absorb by clouding waters. A CDOM reading shows the amount of organic compounds in a small area of a water body. These help to give brown lakes their color, for example. Some common constituents of CDOM include organic acids like humic acids 5, linked with soils and peats, and fulvic acids that are organic in nature and break down minerals and nutrients so that they are usable by plants. To get a sense for what CDOM means for a water body, consider all of the things floating around inside it. In brown lakes or rivers, CDOM is the colored and organic floating bits that partly give them their hue. This is darkened or lightened depending on the concentration. Along with turbidity and chlorophyll, CDOM is an important consideration for determining light attenuation in a water body. 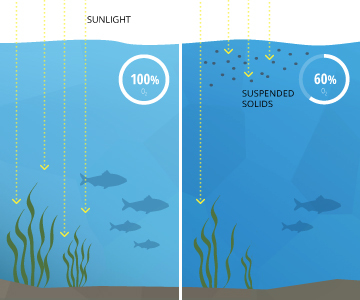 Light attenuation is the loss of light with depth and is commonly used to set minimum light requirements and maximum depth targets in determining sustainability and restoration goals. The inherent optical properties of CDOM are affected by conditions existing near shorelines and differ based on temporal or spatial scales. Based on the scale alone, new questions arise on the interaction with bottom sediments, turbidity particles, sediment type, water circulation and the influences from human activity 4. To answer those, fluorescence of organic matter is often used to discern the composition of CDOM, such as the position of its maxima and whether they shift toward shorter or longer wavelengths. Shorter wavelengths are generally more estuarine in composition and longer wavelengths denote more riverine composition 4. The first optical investigations of CDOM took place in the Baltic Sea 20. Essentially, researchers wanted to know why the Sea’s water varied in color depending on the time and place it was observed 23. The earliest published material relating to the Baltic Sea’s color was released in 1912. Decades later, around 1937, scientists found that the color of the Sea’s water interfered with colored compounds that form during photometric determinations. Those are related to spectrophotometry, in which the reflective properties of substances function as wavelengths. Researchers found that the Baltic Sea’s water is more yellow than typical ocean water, and it was hard to explain why. Indeed, in some locations, the water is even a combination of yellow and brown. Because of that, the concept of “gelbstoff,” or “yellow substance” in German, came about. It was simply a way to describe the composition of the mixture of numerous organic compounds within the Baltic Sea. 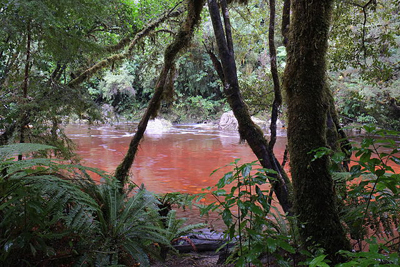 Tannins from decomposing vegetation have colored this river red. A 2006 study 24 by investigators at the Polish Academy of Sciences looked at absorption by CDOM in the Baltic Sea from season to season. Much of the input of organic matter into the Sea comes from the rivers that flow into it, which are numerous. In March, April and November, researchers found that most of the variability in CDOM could be attributed to months of intensive mixing and high river discharge bringing in terrestrially derived organic matter. In February, May and September, increased thermal stratification, lower discharge from rivers and more biological activity made for better models of CDOM absorption. In those months, CDOM from the Baltic Sea itself was significant in its south. Fluorescent dissolved organic matter, or fDOM, is the fraction of CDOM that fluoresces. This means that only some CDOM is fluorescent. 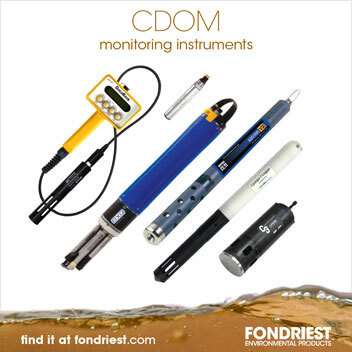 Often used as a surrogate for CDOM in measurements, fDOM is one constituent that makes tracking dissolved organic matter possible in natural waters. An advantage of using fluorescence to measure CDOM is that it is more sensitive than absorption methods. Both excitation and emission spectra also show greater detail and provide more information on chemical composition than do absorbance 4. Excitation-emission matrix spectroscopy is a fluorescence-reliant approach that enables one to determine the sources of CDOM based on the existing fluorophores, or fluorescent chemical compounds that can re-emit light upon light excitation, and their concentrations relative to one another. In terrestrial waterways, the humic acids display excitation and emission maxima at longer wavelengths than those in marine systems. Losses in color pigments thanks to photobleaching can make fluorescence less effective though as CDOM photobleaching equals the loss of chromophores that are responsible for colors of compounds. 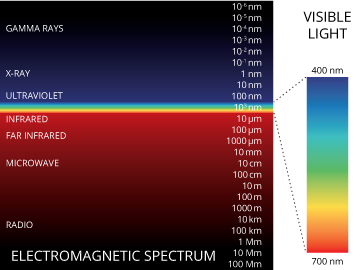 Losing those means there is a decrease in absorption coefficients, which determine how far into a material light of a particular wavelength can penetrate before it is absorbed 10, as well as fluorescence. fDOM is useful as a measurement for many reasons, not least of which is that it can be applied in any number of scientific investigations to answer countless questions. In wastewater discharge, fDOM is key for dissecting the role of total organic carbon. Total organic carbon is commonly calculated by subtracting inorganic carbon from the amount of total carbon. Concentrations of fDOM can also be important for tracking the dispersion, transport or mixing of water masses. For example, submarine groundwater discharge is considered a significant source of nutrients to the coastal ocean 12 and can easily enhance the productivity of coastal waters. A large portion of the nutrients can reach the sea associated with dissolved organic matter. In other measurements, fDOM levels can influence readings of flow and discharge in rivers and floodplains. It can be used as a measurement of terrestrial influence on a water body as well as an avenue for assessing light availability. In oceans, it is commonly used to gauge ocean color and chlorophyll a.
Chromophoric dissolved organic matter, or CDOM, is measured because of its value as an indicator of all the constituents floating around water bodies, regardless of their size or location. From small lakes to massive water bodies like the Caspian Sea and on up to the oceans, CDOM marks what is swirling around inside them from land or even from their own sediments. The size of the particles plays an important role. Only small, low-molecular-weight molecules can cross cytoplasmic membranes in enzymatic processes with transport proteins, or permeases. Since most dissolved organic matter is comprised of polymeric (many-part) compounds of high molecular weight, only a small portion of dissolved organic matter is rapidly usable in natural waters. All the motion, with swirls full of components like dissolved soils, decayed organic matter, metals, lignin, acids and other things, influences a great many processes. Light penetration, salinity, turbidity or pH, among other conditions, are all things that can be affected by CDOM fluctuations. As those dynamics shift, lifeforms in water bodies have to adjust. On down to microbes and bacteria, CDOM changes can have big effects 3. Bacteria and fungi assimilate dissolved organic compounds, some of which they obtain through enzymatic degradation of particulate organic matter. Essentially, CDOM can have effects on all aquatic life in a water body. CDOM reduces transparency, traps heat, binds with metals and fuels respiration 27. One important effect to note is CDOM’s impacts on levels of dissolved oxygen in a water body. Large loads of organic matter can greatly increase oxygen demands in rivers and lakes by spurring enhanced microbial consumption of dissolved oxygen. In highly productive areas, these elevated rates of organic decomposition can lead to high bacterial production. Too much production can lead to oxygen depletion in backwater areas 11. In addition, CDOM is a component of organic carbon, one of the largest pools of carbon on Earth 27. CDOM is one way to characterize this carbon pool. CDOM also reacts with chlorine to form carcinogenic disinfection byproducts, so it is carefully regulated in municipal water systems. CDOM as a parameter is useful for studying a variety of conditions and has been a key part of many investigations. 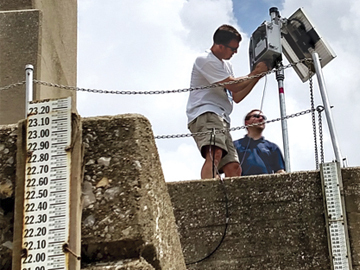 For example, scientists at the Ohio River Valley Water Sanitation Commission (ORSANCO) have used CDOM as a surrogate measurement to track methylation in the Ohio River 13. Methylation is the process that makes mercury bioavailable to organisms, like bass and catfish, in the river. To get to a point where CDOM levels could be accurately applied in estimating mercury, ORSANCO researchers have collected data on both in tandem over the long term. CDOM is also important in marine waters. In a 2015 investigation by scientists at the University of Delaware, the parameter helped improve the protection of threatened sand tiger sharks 14. The study uncovered that the presence of sand tiger sharks, tracked by a Slocum glider, was significantly associated with nearshore waters lower in salinity and higher in colored dissolved organic matter. It was the first such research to reveal the association, which scientists believe may be due to CDOM’s construction as made up by dissolved plant and animal material — sharks may key on it using their heightened sense of smell. 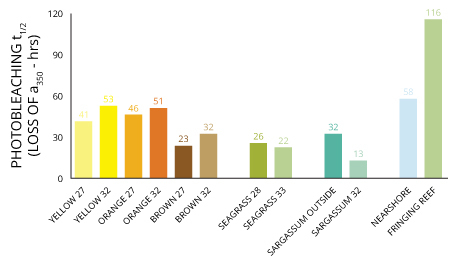 The Sanibel-Captiva Conservation Foundation Marine Laboratory has monitored CDOM to gauge the impacts that releases from Lake Okeechobee have on seagrasses in the Caloosahatchee Estuary 15. 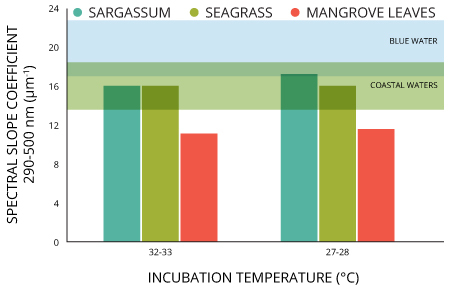 In summer 2013, elevated CDOM levels contributed to increased cloudiness in the estuary and a drop in salinity levels that proved fatal to its seagrasses. 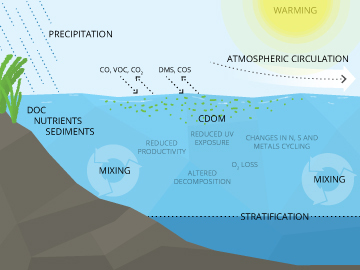 CDOM is measured in freshwater and marine environments, as well as those that fall in between, to keep track of a number of processes in water. Indeed it can be measured most anywhere that its meaning would help to answer scientific questions. This includes in extreme environments like the Arctic, the deep ocean or in underground caves and karst. Chromophoric dissolved organic matter, though largely made up of dead organisms, can greatly impact the creatures living in water. Because it has effects on the conditions that aquatic life adapt to for survival, such as salinity, turbidity and light penetration, CDOM plays a large role in the health of aquatic systems. Salinity can rise or fall depending on CDOM levels. The parameter appears to have a largely inverse relationship with CDOM, meaning it falls as CDOM goes up and goes up as CDOM goes down. What that means for aquatic organisms that have adapted to certain levels of salinity is that too much or too little CDOM can be detrimental to their health, even causing death in drastic fluctuations 16,17. Turbidity, or the cloudiness of water due to suspended solids and other substances, is closely linked with CDOM. But more chromophoric dissolved organic matter does not always mean that turbidity will go up. Because the light absorption coefficient of CDOM can be greater than the absorption from pure water during heavy-rain periods, it is possible that more CDOM will drive a decrease in a water body’s turbidity 18. CDOM can easily influence light penetration by making waters more or less murky. Light moving through the water can be diminished as it passes through, which has a limiting effect on photosynthesis by reducing the amount of light that reaches to the bottom. This can reduce plant density and reduce the depths at which they can survive. This loss of light penetration can also inhibit the growth of phytoplankton populations that form the basis of oceanic food chains and are primary producers of atmospheric oxygen 19.
where T is temperature (°C), r is the temperature coefficient (°C–1), and the subscripts r and m stand for the reference and measured values. In this equation, the temperature coefficient (r) is the quotient slope/intercept at a given reference temperature. Loading of organic matter can increase oxygen demands in lakes and rivers 11. For example, during periods of increased leaf fall into heavily canopied streams, increased dissolved organic matter leaching from the leaves can enhance chemical and microbial utilization of dissolved oxygen. Dissolved organic matter leaching from soils after precipitation events, or similarly from marsh or swamp areas as well as organic sewage sources, can also cause increased microbial consumption of dissolved oxygen. In highly productive wetland plains, such high rates of organic matter decomposition can lead to high bacterial production of methane. 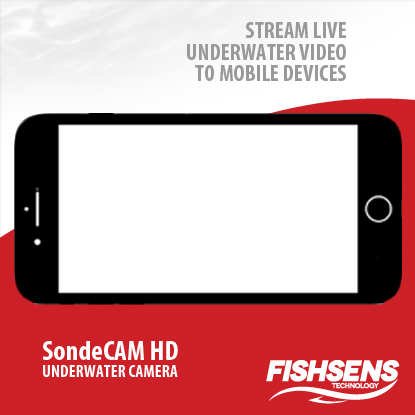 The production can lead to dissolved oxygen reduction or even depletion in backwater areas. CDOM plays an important role in the browning of lakes over time, which has been observed in northeastern North America and Europe. Browning can increase thermal stratification in lakes, deplete oxygen and alter the structure of the pelagic food web 7. In recent decades, increased browning in U.S. lakes has been blamed on recovery from anthropogenic acidification, rises in precipitation and changes in land use. It is often associated with increasing pH. The changes it makes are linked to the nutrients provided by the surrounding ecosystem and the effects of shading. Terrestrial dissolved organic matter can provide nutrients that enhance zooplankton production, but shading can inhibit photosynthesis and reduce the food supply for animals higher up in the food chain such as fish. Simultaneous increases in pH and decreases in ultraviolet light exposure from browning can alter consumer-resource interactions. These can contribute to lower water clarity to ultraviolet light and photosynthetically active radiation (PAR) that can influence food web structure and ecosystem services overall. Clearly, CDOM can have effects on light absorption 11. Lake water with increasing concentrations of dissolved organic matter, particularly humic acids, not only reduces the transmission of light drastically but also shifts absorption selectively. Commonly in all waters, there is high absorption of infrared and red wavelengths of light that significantly heats the first meter of water. At an extreme, lakes with low concentrations of dissolved organic compounds increase ultraviolet absorption greatly. But in lakes that are highly stained with such compounds, absorption of ultraviolet, blue and green light wavelengths is essentially complete in less than a meter of water. The amount of dissolved organic carbon in water, which makes up a portion of its DOM, has been shown to be linked with levels of mercury and methylmercury 22. Concentrations of both mercury and methylmercury have positive relationships with dissolved organic carbon because both tend to form complexes with organic carbon. Gentle slopes along most land-to-water margins are conducive to sedimentation, which can lead to large accumulations of organic matter 11. A lot of plant growth occurs in these littoral zones, marked by uptake of water from nearby soils. A great deal of runoff, due to gravitational flow, enters lakes and rivers, taking amounts of CDOM with it. With all of the impacts that CDOM and its constituents can have on various conditions of water bodies, it is evident that CDOM can greatly affect aquatic lifeforms. In wetlands, flooding can make soils almost instantly anoxic, or low in oxygen. Reducing conditions, nutrient fluxes, decompositions rates and plant metabolism are all altered markedly. Plants that have adapted to these fluctuations have a greater competitive advantage over less-adapted biota. Because of that, the productivity of wetland and shoreline (littoral) plant communities includes the highest rates of organic matter synthesis in the biosphere. Fondriest Environmental, Inc. “Chromophoric Dissolved Organic Mattter.” Fundamentals of Environmental Measurements. 1 Aug. 2017. Web. < https://www.fondriest.com/environmental-measurements/parameters/water-quality/chromophoric-dissolved-organic-matter/ >.